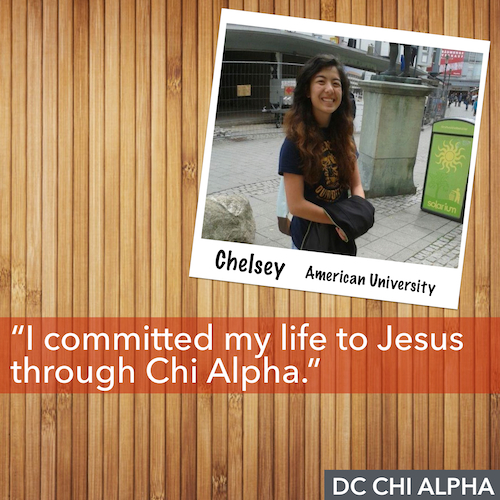 For the past two years of my college career, Chi Alpha at American University has definitely impacted my life. 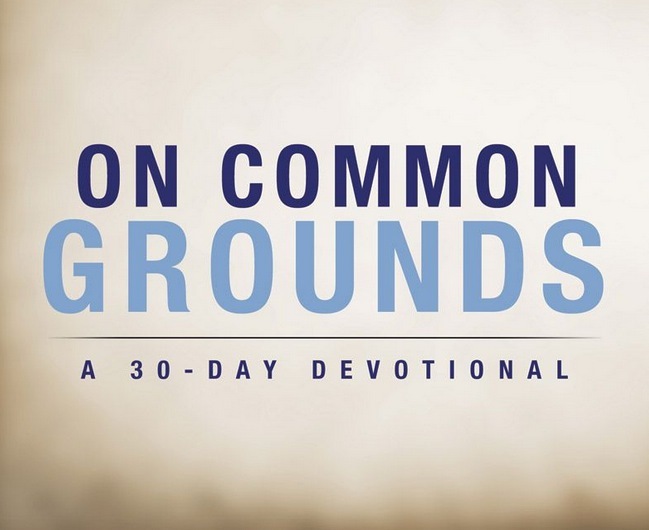 I have become bolder in my faith, self-confident and most importantly I have learned what community truly means. When I first came to American University (AU) I was planning on having the best four years of my life. I couldn’t wait to get my classes started, be involved in campus activities, including a Christian community, explore the DC nightlife, and most of all make the best of friends. Although these goals were all on my planner, my first semester didn’t go as I had planned. My classes were going all right, I didn’t find myself being involved or going out at night and I wasn’t making a lot of friends even at Chi Alpha. I became a very timid person and I was caught between the cliché party life at college and my community in Chi Alpha. I found myself intentionally asking God to help me through this process. To get through this challenge of growing weaker in my faith, losing my self-confidence and opening up to what he had planned for the rest of college career and life. Second semester of freshman year became a new beginning for me and God had a plan. I began by attending small group every Monday night, going to team meetings for my first mission trip with Chi Alpha after small group, which were a blast and more importantly investing my time in community. 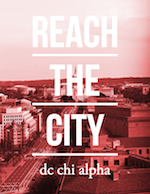 Our Chi Alpha at AU isn’t the biggest one in the country (or even our region) but it's unique. In the beginning I didn’t find friends that I initially clicked with, but I realized that God was helping me through this process by having me invest more time in His community; people He knew were going to bring joy to my life. And He did bring those people. It was unexpected but He kept His promises and provided me with the best of friends my sophomore year. And it all began with prayer and attending my small group. I am incredibly blessed and God knew exactly what he was doing. He provided me with friends that brought joy to my life but most importantly led me to Him. I was always struggling freshman year on where I needed to be but He made me realize that I am exactly where I need to be, here, in Chi Alpha, where He knew and I know now that I am most happy. Through this process, I learned to recognize that God was so incredibly intentional in my life and always will be.